Sunday solo session with all the nice Sunday sounds. See you there, folks! 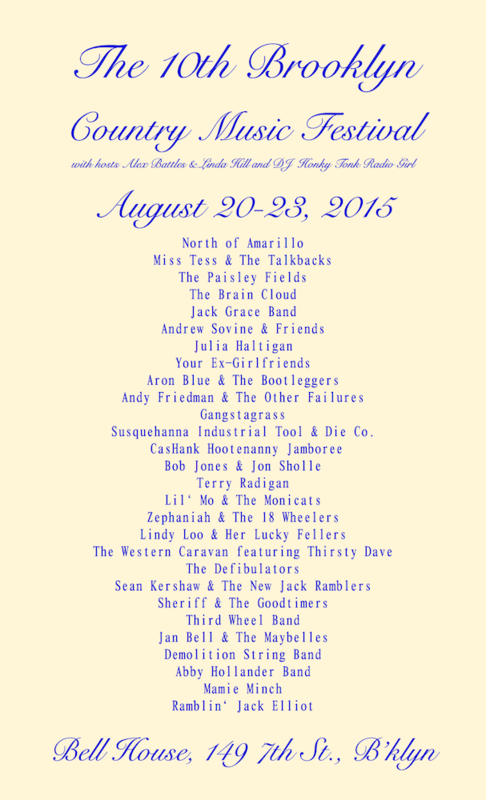 The 10th Brooklyn Country Music Festival presents four days of country and bluegrass music Homegrown in New York City on August 20-23, 2015 at The Bell House in Gowanus, Brooklyn, New York. Legendary folk musician Ramblin’ Jack Elliot will headline the show on Sunday, August 23, 2015, following a set by Brooklyn’s own Mamie Minch. Over two dozen bands will join in the festivities over four days which will be hosted by festival organizer Alex Battles & and comedienne Linda Hill. The Brooklyn Country Music Festival has seen nine installments at venues such as Freddy’s Bar, Southpaw, Hank’s Saloon, and Jalopy. 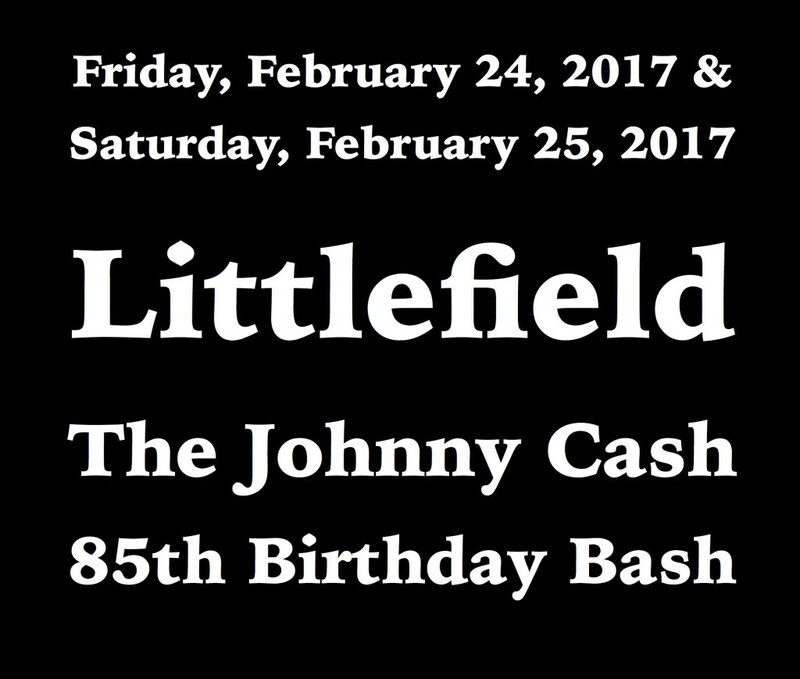 This will be the first Brooklyn Country Music Festival at The Bell House. Pick a day and bring your friends! Tickets start at just $15 for Thursday and Friday! Four day passes just $50! The Bell House is located at 149 7th Street between 2nd and 3rd Avenues in Gowanus, Brooklyn. 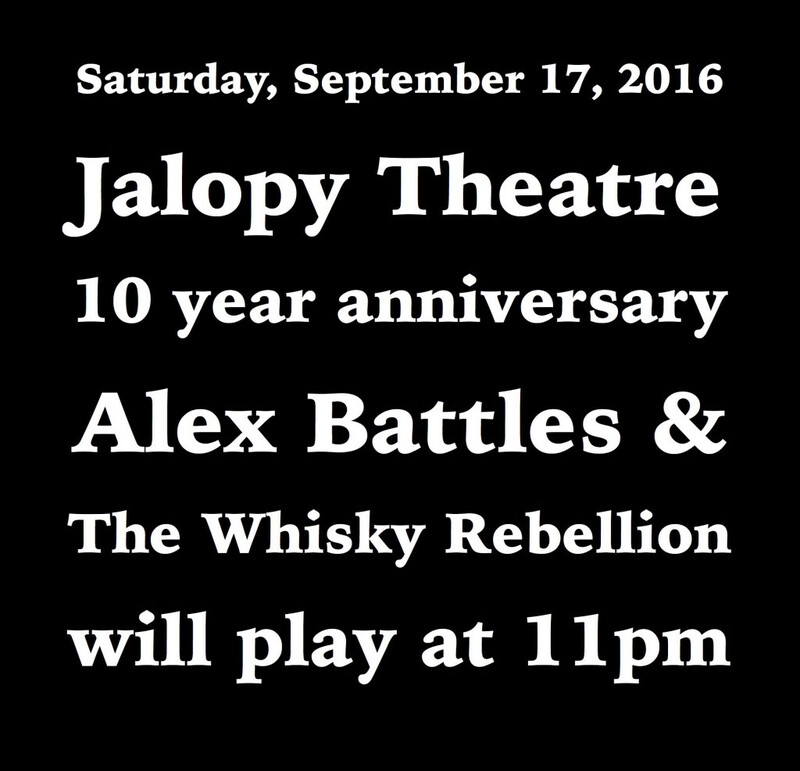 Tickets are on sale now at The Bell House. The first Thursday of every month at Freddy’s Bar, friends gather for The CasHank Hootenanny Jamboree, a sing and stomp-along to the classic country songbook. Patrons are welcome to bring an instrument along and pick from the crowd, or learn the words to an old country song to sing from stage or from your seat. 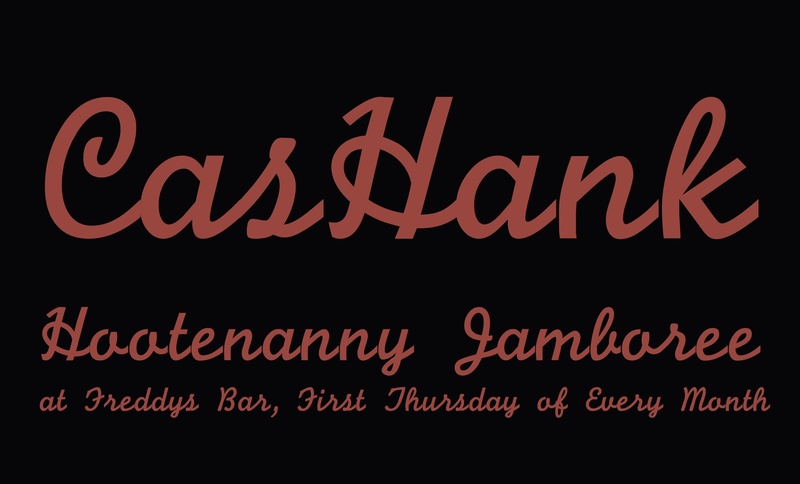 Alex Battles started The CasHank Hootenanny Jamboree as a jam for folks looking to play, old, popular country songs together. 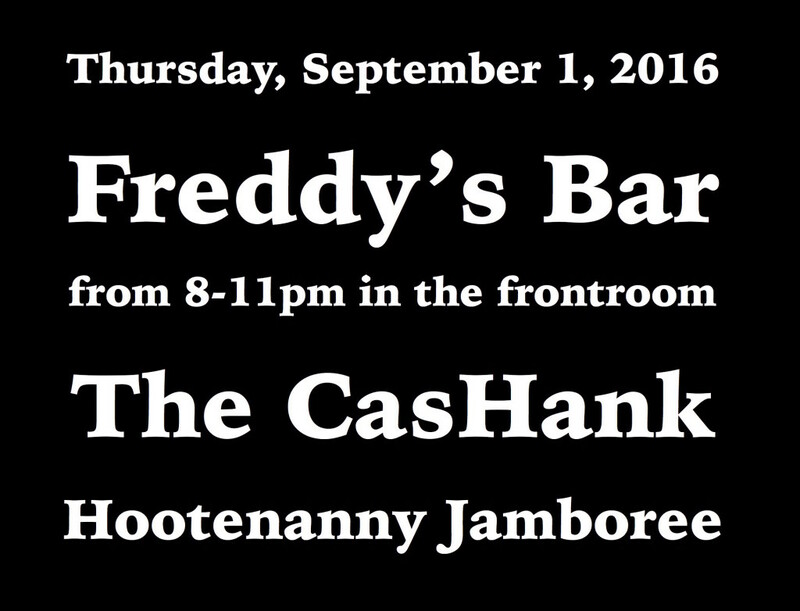 The first CasHank was the final event of the 1st Brooklyn Country Music Festival at Freddy’s in 2004. From July 2004 – September 2009, Buttermilk was the home of the CasHank. During this time, the CasHank grew to resemble the band of regulars who re-lit the fire at Freddy’s Bar in November 2011. 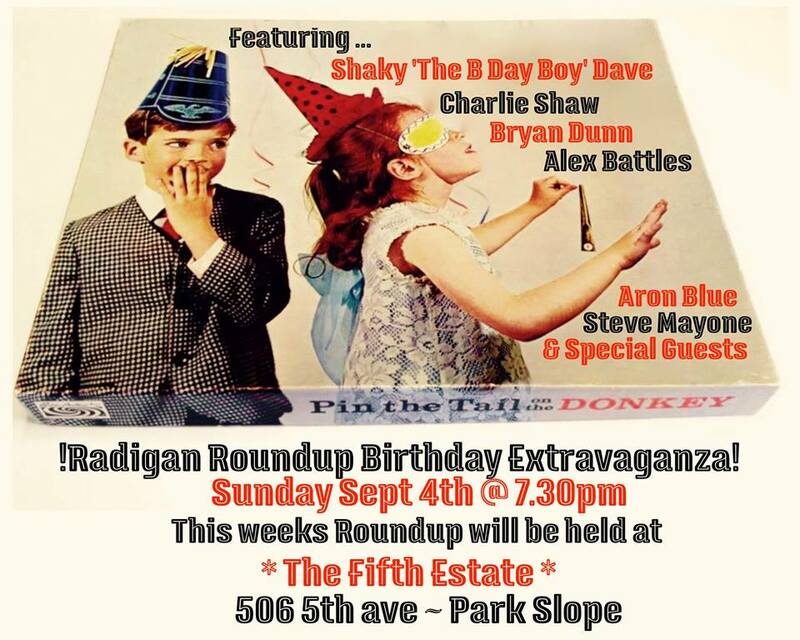 Gary Keenan, an original CasHank-er from 2004, now hosts the evening, with assistance from Alan Lee Backer, Glenn Spivak, The Old Perfesser, Diego Britt, and Alex Battles. At it’s best, the CasHank is a group of friends gathered around a jukebox created from the simplest ingredients, memorable songs and easy chords. NPR has just informed me that my song “wood block” is an official entrant into Tiny Desk Contest. I am obviously thrilled to be involved. They have asked that I post a little more about the song. I am glad to oblige here. In December, I received a message from a friend telling me about the NPR Tiny Desk Contest. I promised to do her proud. I set about recording various new songs I’ve written this year, just to test them out and see how they’d sound. At the end of the session, I decided to try out “wood block”, a song I’d been working on for awhile, but never performed or recorded in it’s entirety. I write songs in various ways. Occasionally, I’m lucky enough to write three verses and a chorus in one shot and be done with it. But, in many cases, I find a translation which occurs between the head and the pen, where the head’s honesty fights the pen’s cleverness for the truth of the song. I always try to focus on that fact that I write songs because I want to remember something about that moment in time. What I remember of what I’ve written is what matters. That’s what ends up becoming the song. I often like to think of songs as pieces of pottery in the kiln of your heart. You fire them, you glaze them, you fire them again, then one day you’re drinking coffee out of them. When they’re useful, they’re songs. “Wood block” took shape over two months. For awhile, it was just a little melody I’d find myself singing. Then I’d share bits of it with friends. It was such a personal song, that I didn’t even want to write any of it down until I was sure I knew where it was headed. I wanted to let my memory write the song, because my memory would be on the hook for singing it again if anyone were to ask. After reviewing my footage from the day’s recording, I found the “wood block” song had the most I wanted to say and remember about being a part of the NPR Tiny Desk Contest. There was only one problem. Since I hadn’t dreamed I’d be using the take, I’d left my unsightly bedhead showing. Through the magic of the Ken Burns effect on iMovie, I was able crop out most of it and still pan down to show the desk where my typewriter sits. I’m very glad it was accepted into the NPR Tiny Desk Contest. I would like to thank my friend Susanna for telling me about the contest and the folks at NPR for helping me to get this song out to the world. 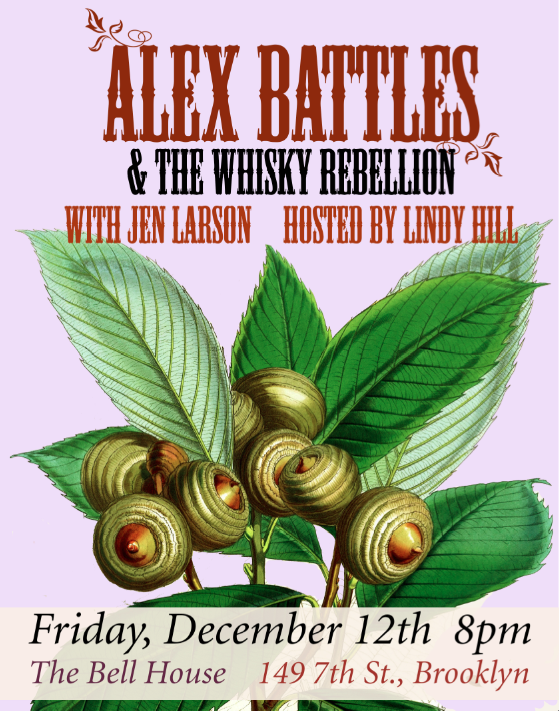 On Friday, December 12, 2014, Alex Battles & The Whisky Rebellion will rock a double set at the Bell House following an opening bluegrass performance by one of my heroes, Jen Larson. Tickets are $10. Dancing and joy are free. Get your tickets now! Monday, December 1, 2014, at Your House! 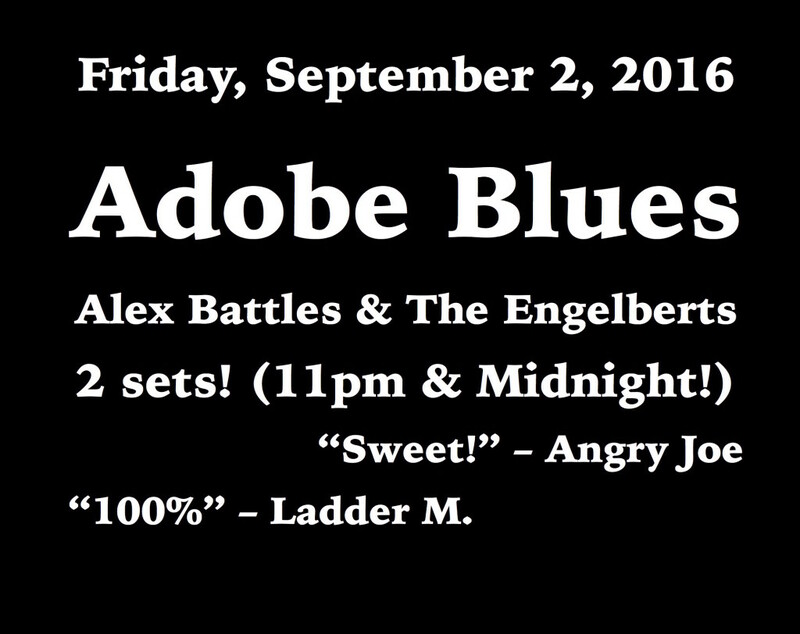 Yes, that’s right, I’m playing another live solo show webcast from my home to yours. Pay what you wish when you login! Tip more when you love the show! Operators will be standing by for your requests! Sunday, December 21, 2014, at Freddy’s Bar, 4-6pm, third Sunday residency continues with aplomb. 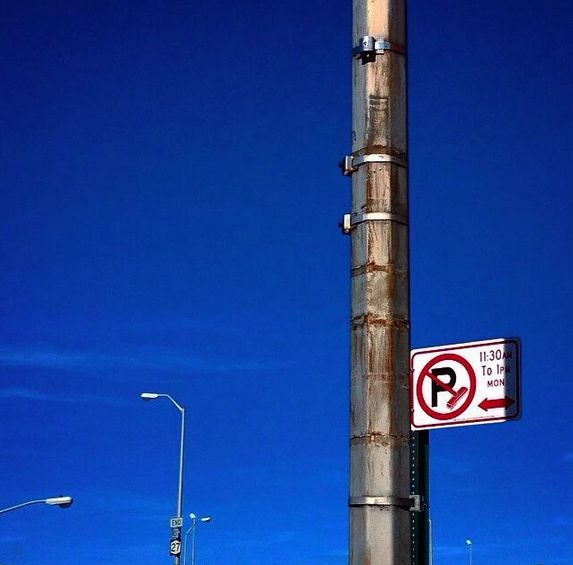 627 5th Ave. 11215. 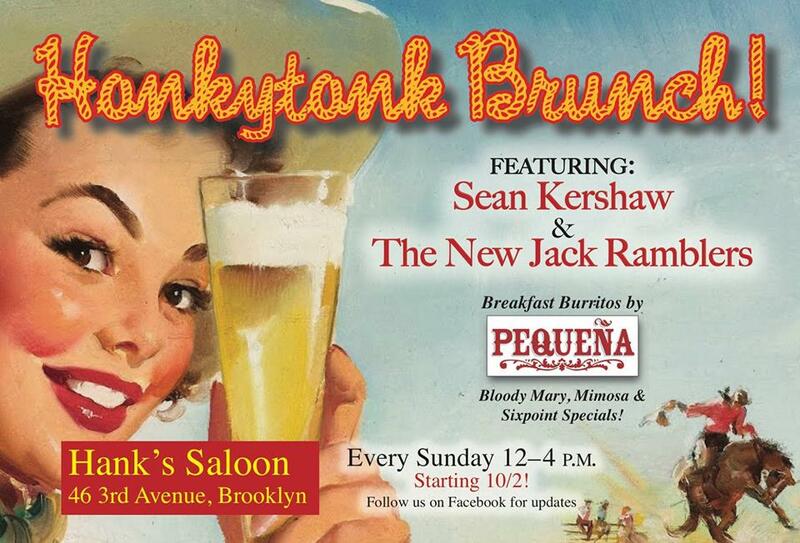 Saturday & Sunday, December 13-14, 2014 at Red Hook Studios (across from Fairway). 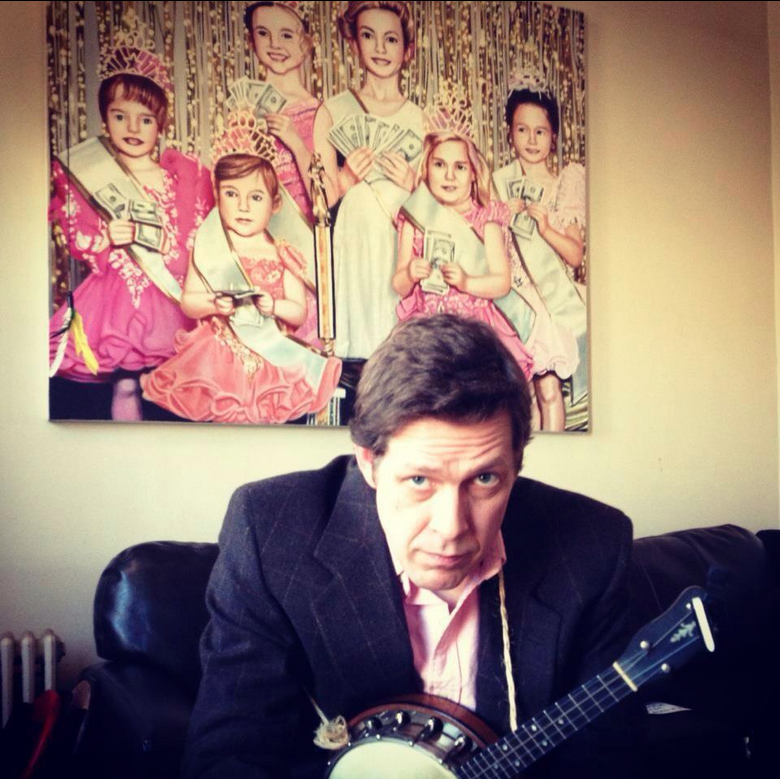 See the paintings and studio of Whisky Rebellion harmonicatician: Shaky Dave! 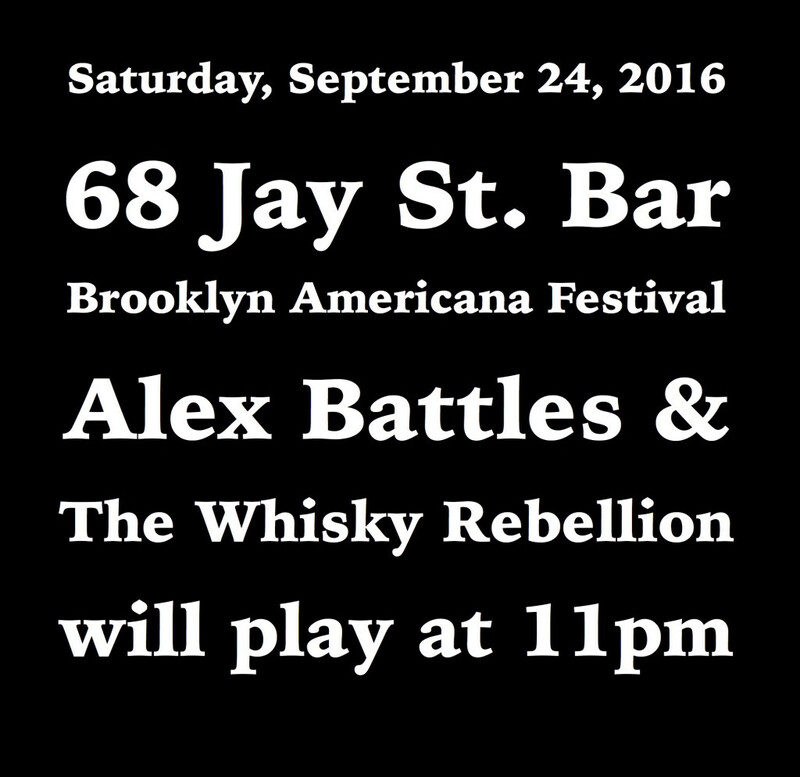 Finally, if you like my music, check out The Alex Battles & The Whisky Rebellion bandcamp page to listen to and purchase whatever you’re looking for. I had a lot of fun with this project. So much fun, in fact, that I found myself glaring at a couch covered in yellow scraps of paper when it was over. It had been a big day. I’d finally released The Princess Bride song I’d been working on for weeks. It was my ship in a bottle, sailing the seas of social media, hoping to be picked up by someone who could give me the opportunity to make more. I missed it already. For moments like this, I have an ideas jar, a large, glass container where I deposit the inklings that make me happy. When I finish a project, I sort through my ideas, find a smile, and start anew. This time though, nothing was thrilling me. None of my ideas excited me as much as the one I had just finished working on. The next day, I was still feeling anxious when I spotted a lone, golden scrap I’d neglected to collect the night before. I picked it up, unfolded it, and smiled when I read the words: “PRINCESS BRIDE” scrawled in purple ink. The idea for me to work on this project came from a friend who had read an article detailing Mr. Reiner’s difficulties finding a songwriter for the musical version of his film. My friend believed I could do the job. I expressed my enthusiasm, but confessed to her that I hadn’t seen “The Princess Bride” as a child. As an adult, I find it difficult to watch André The Giant in anything without seeing him as a 12 year-old kid headed to school in the back of Samuel Beckett’s pickup truck. It just breaks my heart to think that we lost him at 46. As such, I’d never been able to finish the film. “Maybe that’s what your first song should be about!” She told me. Suddenly, I jumped at the challenge of responding to the smoke signals of Hollywood royalty. I went home, purchased the film, and started work. Over the next few weeks, I learned that The Princess Bride isn’t only about the lines that people recite. It’s a story a father made up for his children while putting them to bed at night. It’s a story about an unbelievably evil man who conspires to start a war by forcibly marrying and murdering the most beautiful woman in the land. It’s a story about how love, family, and friendship can conquer such evil. It’s a story everyone should hear, sing, and remember. As I worked, I became a fan of the film too. Now, I wanted to leave the theatre smiling. I developed an outline to tell the story musically. Call it fate or coincidence, but the first song to appear on my outline was indeed a duet between André the Giant’s character, Fezzik and Vizzini, memorably portrayed by Wallace Shawn. I loved every moment of writing this song. I would love to have the opportunity to write the next one on my outline, the next one, the next one, the next one, the next one, and so on until the story is told. Newport, Rhode Island was swell! Now some September shows! Alex Battles played a show in Newport last week and that was fantastic. He had the pleasure of running into his friend Milton there. Check out Milton’s music, he’s great: www.miltonmusic.com. Battles sang and sailed and strolled. Visit Newport and so can you. 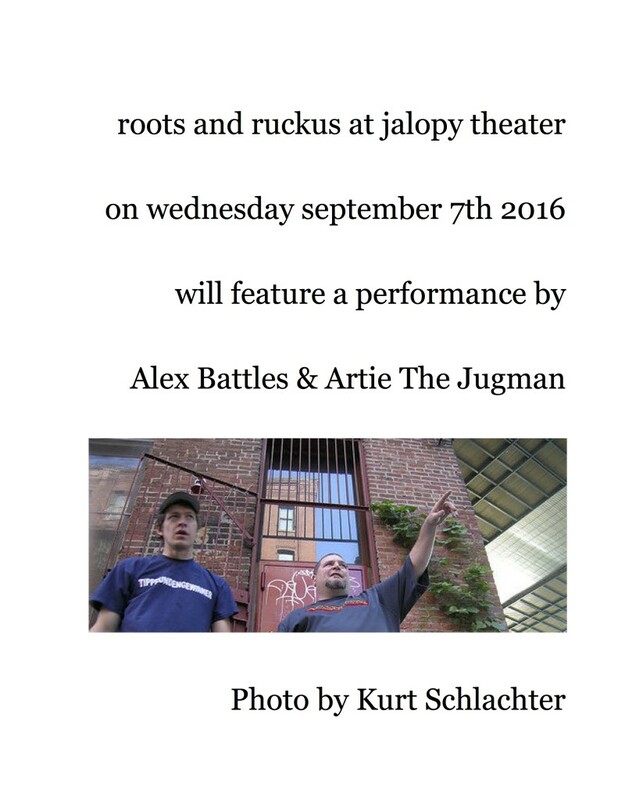 There are some upcoming shows in New York this September that are going to be supremely enjoyable, and I’m gonna tell you about them. 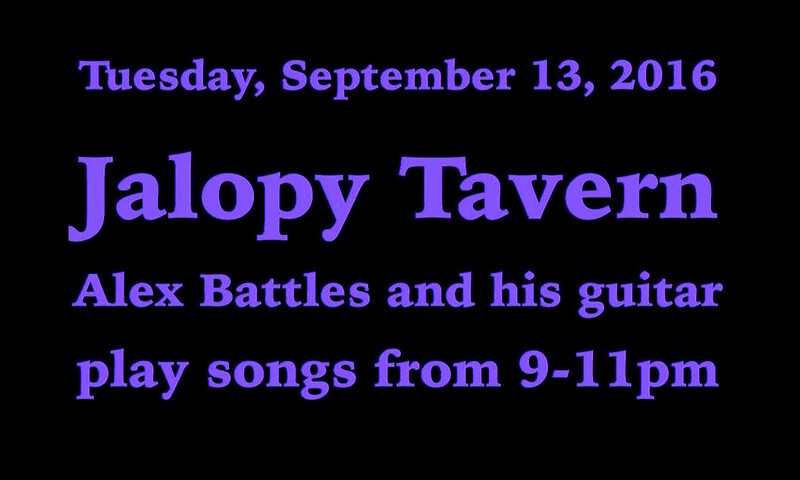 Monday, September 8th Alex Battles plays Tammany Hall at 9 o’ clock in the East Village. 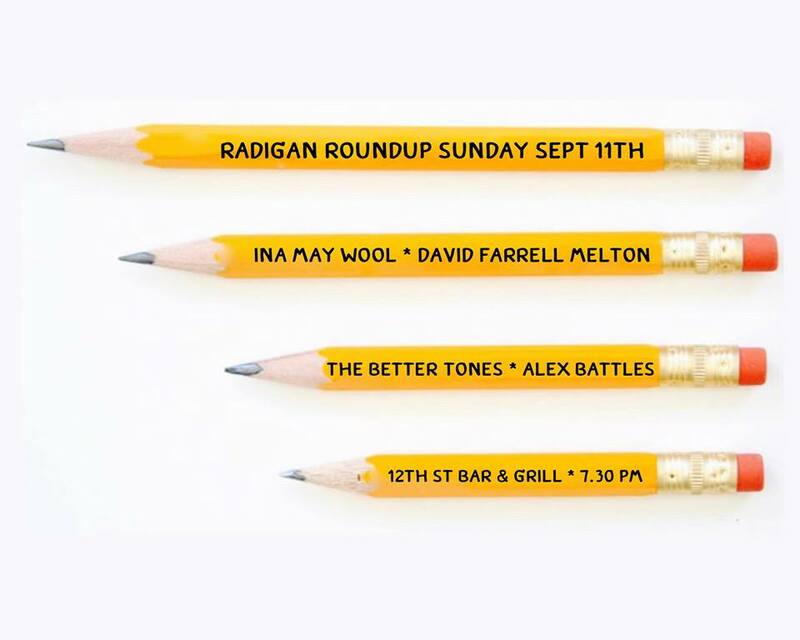 Saturday, September 13th Battles rocks the socks off Skinny Dennis in Williamsburg, Brooklyn. 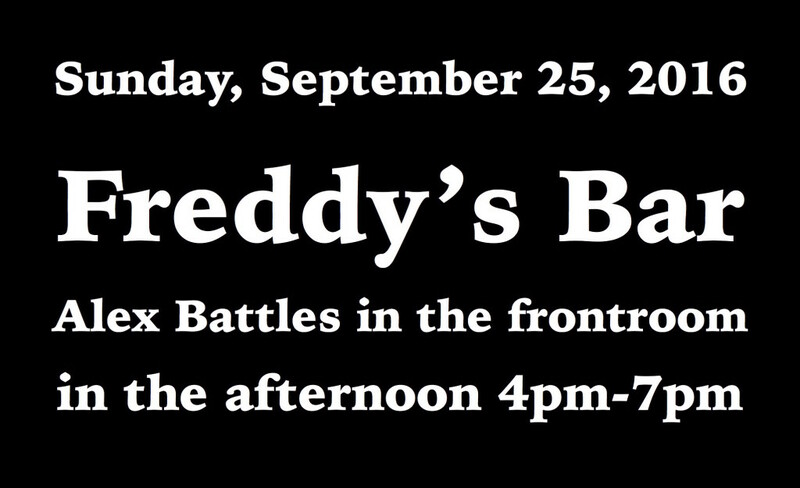 He starts playing at 4pm and goes till 6. There are very few better ways to spend a Saturday afternoon. If you can make both shows, well then, you’ve had a good week. And a good week is wonderful thing. 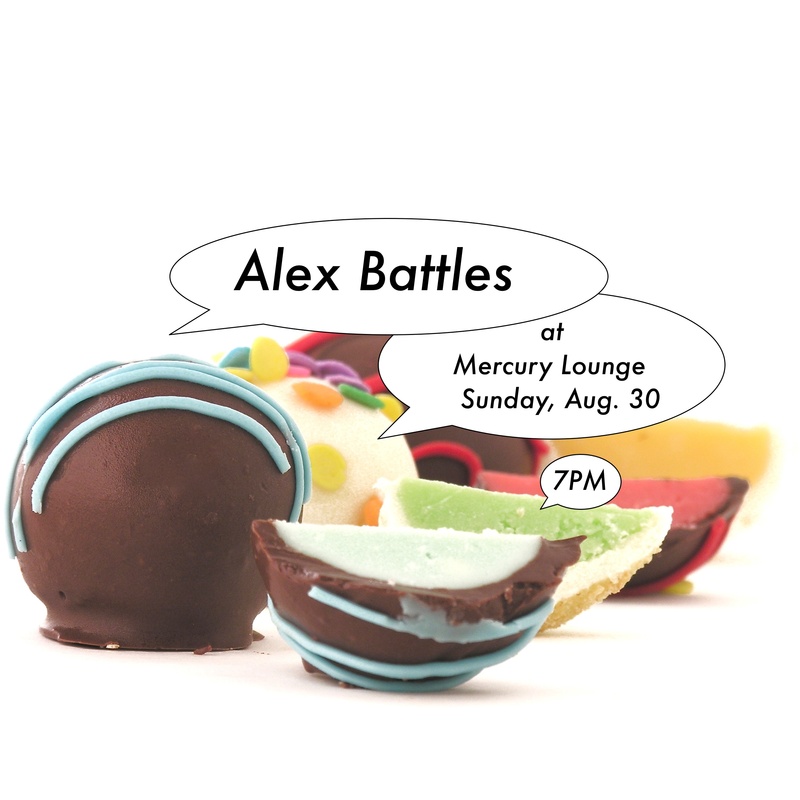 Come see Alex Battles — it’s a practically prescription for success! If you measure success in smiles. True, honest, heartfelt smiles.